With over 85 acres of rolling pasture bordered by the historic French Broad River, The Horse Shoe Farm is the ultimate Hendersonville horse retreat. We can comfortably accommodate horse owners, trainers and even entire equestrian teams at The Horse Shoe Farm. In addition to over fifty acres of fenced pasture, we also feature a number of field run-ins and an outdoor riding ring. In The Stable House, we can board up to fourteen horses in our spacious 12′ x 12′ stalls, eight of which are heated. Guests can also use our feed room, wash stall and tack room for attending all of their horses needs. But the most unique feature of The Stable House isn’t the luxury equestrian accommodations. We’ve remodeled the entire second story of the building into a charming and spacious guest house. Five bedrooms, three bedrooms, a full kitchen and open living room encompass the 4,300 square feet of space. An elevated deck also offers spectacular views of the expansive property, bordered by the Southern Appalachians. No other Hendersonville horse retreat can comfortably accommodate both horses and their owners in the same building. 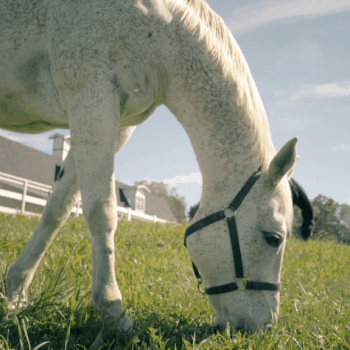 Despite our name, The Horse Shoe Farm caters to more than just our equestrian clientele. Our modern, spacious rentals offer a great escape for a family vacation or quick getaway. Two large barns boast over 6,000 square feet and can be used for weddings, family reunions or even corporate retreats. Guests can feed their soul at our residential restaurant, The Silo Cookhouse, which features a commercial kitchen for catering events. There is also a number of fun and relaxing activities to try, including archery, gardening and yoga classes. From the beautifully appointed homes to the natural splendor of The Blue Ridge Mountains, guests enjoy our all-inclusive amenities and activities available on our picturesque property. We’re the only Hendersonville horse retreat with luxury lodging, modern amenities and a rich history in the area. 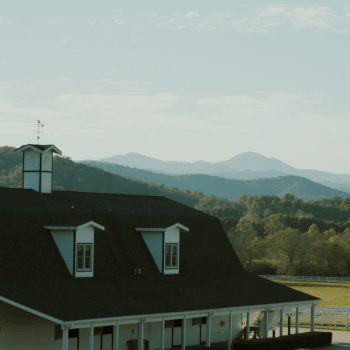 The Horse Shoe Farm is the perfect setting for your mountain getaway or special celebration. Call today to secure your next equestrian mountain vacation and experience all that The Horse Shoe Farm has to offer.